High-end, high-quality, and high time for a shopping excursion in Historic Downtown San Angelo. 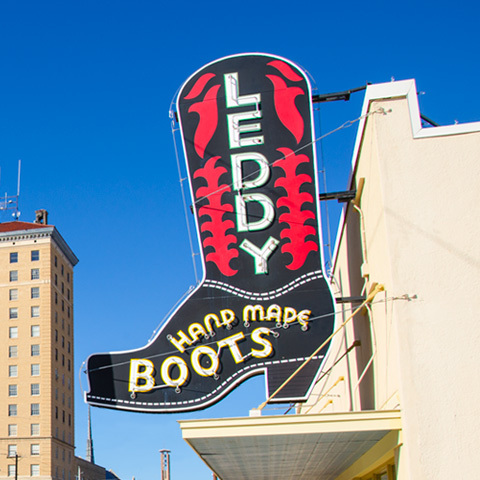 Handcrafted boots and jewelry, one-of-a-kind furniture and décor, generations-old antiques, cutting-edge clothing, art for all tastes, and gifts as unique and diverse as the people of San Angelo. Find the shop you are looking for or plan that shopping trip by viewing our ever-growing list of Downtown shops. Be amazed by the quality and quantity of services offered by Historic Downtown San Angelo. Relax in Historic Downtown San Angelo with a view of the district most worth viewing.